New Low-FODMAP Updates from Monash University! When Monash University tests and analyzes new foods, I get a little excited. OK like really excited. I nerd out and start to think of all the new dishes or snacks I could create and I think of all the times FODMAP Life fans have asked me “is cider vinegar high in FODMAPs?” Thankfully now we have a definite answer and you CAN have cider vinegar! (see serving size listed below for apple cider vinegar with a few other new foods). This is great because there are some really good recipes for drinks using apple cider vinegar that I find can help with IBS. 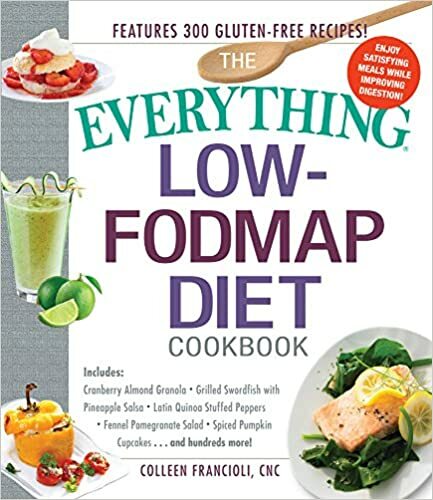 Posted on March 1, 2016 March 1, 2016 Author ColleenCategories FODMAP Diet, FODMAP Facts, Low FODMAPTags fodmap recipes, low fodmap diet, low fodmap diet cookbook, low fodmap diet foods, low fodmap diet updates, low fodmap recipes, low fodmap updated, monash university app low fodmap, monash university low fodmap diet3 Comments on New Low-FODMAP Updates from Monash University!